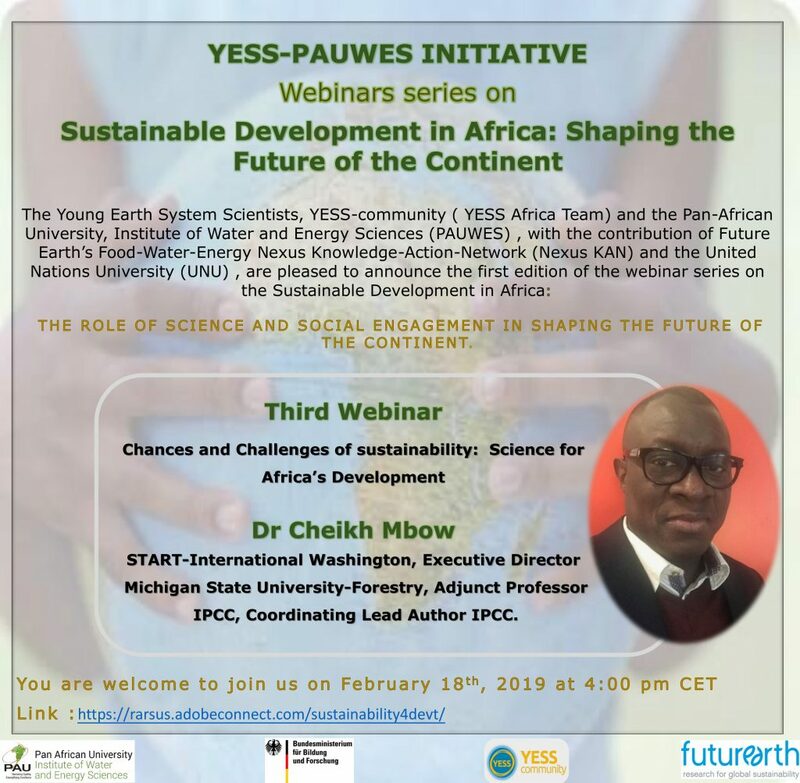 The YESS Community, the Pan-Africann University, Institute of Water and Energy Sciences (PAUWES), with the contribution of Future Earth’s Food-Water-Energy Nexus Knowledge-Action-Network (Nexus KAN) and the United Nations University (UNU), are pleased to announce the first edition of the webinar series on the Sustainable Development in Africa: the role of science and social engagement in shaping the future of the continent. Dr. Cheikh Mbow (Adjunct Associate Professor in Environmental Science at Michigan State University and Executive Director at START, USA) will lead this meeting. You are welcome to join us on February 18th at 4pm (CET) by following this link.